I couldn't even imagine skating for an hour without easy access to water! If you'd like to contribute, even just what you'd normally spend on one bottle of water, then I will love you forever and respect you as a caring human being. If you can contribute more than that, then even more people, on the other side of the world, will feel the same way about you that I do. Thank you so much, have a rad day! 01/09/13 Bonnie Beck $20.00 PROGRESS!!!! 12/24/12 Anonymous Donor $20.00 xoxo! 12/21/12 Anonymous Donor $20.00 Doing great things, keep up the good work! 12/12/12 Bonnie Beck $7.00 Yay! 12/04/12 Bonnie Beck $5.00 YAAAAAAAAAAY! 11/28/12 Bonnie Beck $5.00 woo hoo! 11/26/12 Anonymous Donor $5.00 great job! 11/21/12 Anonymous Donor $5.00 Progress is success! 11/07/12 Anonymous Donor $10.00 doing great! 10/18/12 Bonnie Stroir $10.00 woo hoo! 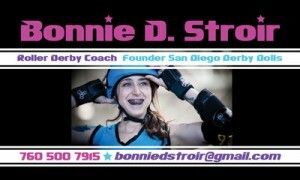 10/01/12 Bonnie D.Stroir $8.00 A little closer every day!!! 09/12/12 Anonymous Donor $7.00 You're doing great, keep it up! 09/08/12 Anonymous Donor $5.00 You're awesome! 09/04/12 Hilary Boswell $100.00 donated in Coach Lime and Bonnie D. Stroir's names on behalf of SRDL. Thank you. XOXO! 08/03/12 Anonymous Donor $10.00 Good luck reaching your goal!